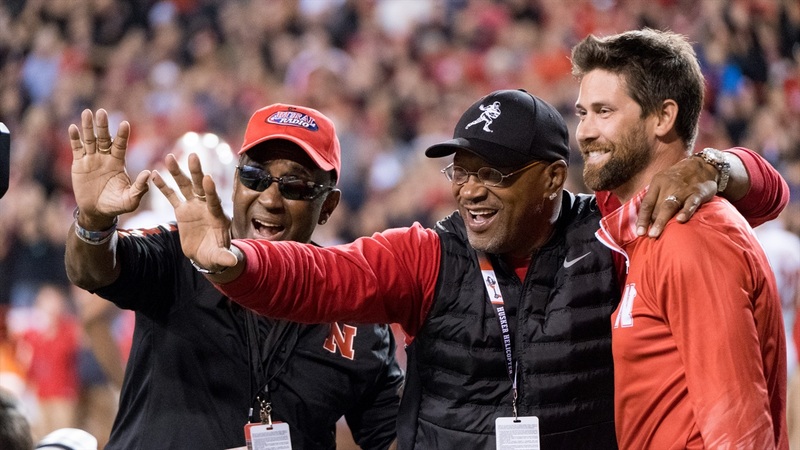 Mailbag: Who's the Best Wideout in Nebraska History? With just a few days before the Huskers' 2018 spring game, it was only natural this week's mailbag was going to be heavy on the football. Brandon Vogel, Greg Smith, Jacob Padilla and Derek Peterson are back to answer more of your questions. As for where he sits on the all-time leaderboard, I guess that depends on what you value and where you place Johnny Rodgers. Morgan obviously doesn’t have a Heisman Trophy but for me, if he hits even 900 yards this season I say he goes out on top. He’s still got his whole senior year left and owns the single-season yardage record, the record for 100-yard games in a season (five) and the third-most receiving touchdowns in a season in school history. He’s 10 career scores away from tying Rodgers for most in program history (25), he’s 947 yards away from taking Kenny Bell’s career yardage record and he’s 63 receptions away from taking Bell’s other career record. BV: It’s tough to unseat Rodgers. His record, which Morgan broke last season, was done over 11 games. (With the 12th, the Orange Bowl, Rodgers eclipsed 1,000 yards. Morgan also only played 11 in 2017.) Then add the Heisman. Then factor in that it was a different era for receivers. Then remember that Rodgers was at least part of the reason Osborne switched to the I-formation. It’s a pretty tough portfolio to beat (without even adding in the return stuff). Rodgers is one for me, Morgan two. JP: I agree with everything Brandon said, and I’d also point out that as great as Stanley Morgan Jr. was last year, he’s still had his battles with drops and inconsistency. His junior season stacks up against the best in program history, but if you look at his overall career he still needs a strong senior season to cap things off. Kenny Bell nearly doubled up Morgan’s production through their first two seasons, for example. It’s going to be tough to knock Johnny Rodgers off the top rung, but if Morgan replicates what he did last season he’ll firmly place himself inside the top two. DP: CFBstats.com says the Huskers had a block in 2016, though the site doesn’t specify whether it was a field goal try or a punt (I don't remember off the top of my head). Either way, 2016 probably feels like a long time ago if we start talking about sending pressure. Everything Erik Chinander preaches is about creating pressure and forcing turnovers on defense, I don’t know that anyone has explicitly asked Jovan Dewitt about going after punts, but I’d venture to say the aggressive approach bleeds into special teams as well. Shoot your shot. BV: Nebraska was at its most Virginia Techiest in 2014 (at least recently). The Huskers had six blocked kicks that year, including three from Kieron Williams (all punts, I believe). The 2009 team also had six, three by Suh. UCF had five blocked kicks total the past two seasons, not a bad total. Given the way this staff coaches everything else, I think the aggressiveness will translate to special teams. JP: Jovan Dewitt has talked about how his special teams tendencies are determined by the personnel. If they have a returner who is dangerous with the ball in his hands, they’ll focus more on setting up blocks and giving that guy a chance. If no one proves himself at that position yet some of the linebackers and linemen show the ability to wreak havoc they very well might go after punts and try to get a block here and there. It all comes down to personnel. GS: One. I think of all the visitors that will be in town, 3-star DE Mosai Newsom is the only one truly on commit watch since it’ll be his third trip to Lincoln in about six weeks. Three-star DE Ty Robinson and 4-star RB John Bivens are a couple others to keep an eye on. JP: I’m going with one and it being Newsom as well. GS: I can’t see them moving it. I think they’d cancel before moving it but would only cancel if the weather was like last weekend in Lincoln where there was basically a blizzard. BV: Really tough to move it, and almost as tough to cancel this one in particular given the excitement and expected attendance. They’ll do everything they can to get it in. JP: With my fingers crossed and knocking firmly on wood, it looks like the forecast is improving slightly as we approach the day with the chance of precipitation dropping more and more. GS: This may go against popular consensus but I do question if Burrow is the exact fit for this offense. He likely falls in the category of “mobile enough” that Gebbia falls into and Burrow looks to be a good passer. If he were to transfer, I would make him the leader in the clubhouse for the job though. If he is brought in, you are basically asking Gebbia to leave though. He’s a respected voice on the team so that would be very tricky. BV: I’m more of the "right guy, wrong time" point of view. I think the fit is good enough, but Nebraska is four months into its rebuild. Nobody really knows yet how the coaches feel about the QBs, but if they’re at least optimistic do you want to introduce another variable (even a very talented one)? I guess my view is that if Burrow were to end up in Lincoln, it would already be an indication that the staff thought he had a leg up, but it seems unlikely to me.